Today, we are going to talk about Magento 2 fraud protection. 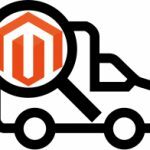 Unfortunately, the default Magento 2 doesn’t let you prevent your store from frauds in the most efficient way, so installing some third-party tools is a must. But we have some good news: protection can be seamlessly implemented if you use something like Weltpixel’s MaxMind Fraud Prevention Magento 2 fraud detection extension. 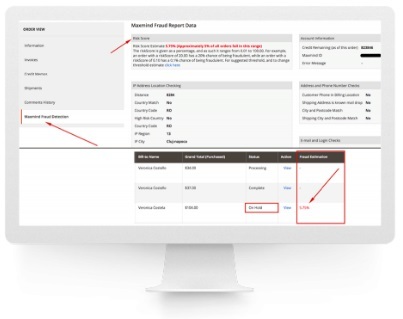 This module is designed to detect fraud and minimize risks in case of orders. 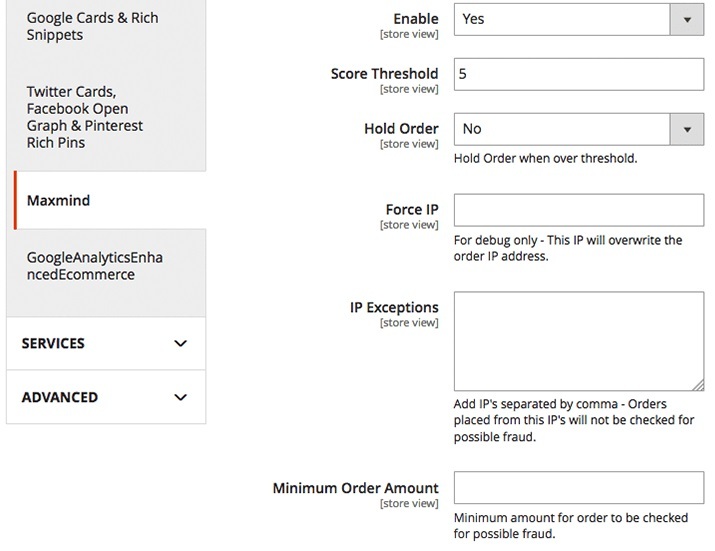 The module evaluates each order and sets a risk score. Note that the tool is based on MaxMind, so you will be charged after each order is evaluated, but let’s look at the extension’s features first. So, what are core principles the Weltpixel MaxMind Fraud Prevention Magento 2 fraud detection module is based upon? The extension analyzes lots of factors to find out whether the transaction related to the order is fraudulent or not. The Magento 2 fraud detection procedure includes monitoring of such factors as high risk IPs, email addresses, devices, or anonymizing proxy. This works as follows: if an order is placed from a computer in Ghana, but the specified shipping address is in Norway, the extension flags this order as suspicious. Next, as a Magento 2 administrator, you can easily discover all suspicious orders and check whether they should be processed or not. Every order gets a score. The highest possible value is 100 – the highest possible risk. Thus, you take Magento 2 fraud prevention to a completely new level. Of course, if you have a small store with a minimum amount of orders, it is possible to compare shipping and billing addresses manually in order to find a fraud, but what about other factors? It is impossible to analyze everything manually as fast as Weltpixel can. 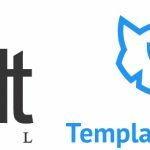 Therefore, we recommend you to use the Weltpixel Maxmind Fraud Prevention Magento 2 module regardless of the volume of orders you have. Note that this Magento 2 fraud detection extension requires a MaxMind account in order to provide the aforementioned functionality. Otherwise, the tool is useless. Create the account, specify your credentials, set a risk threshold, and let the Weltpixel MaxMind Fraud Prevention Magento 2 extension detect risky orders. Now, we’d like to tell a few words about how to configure the module. 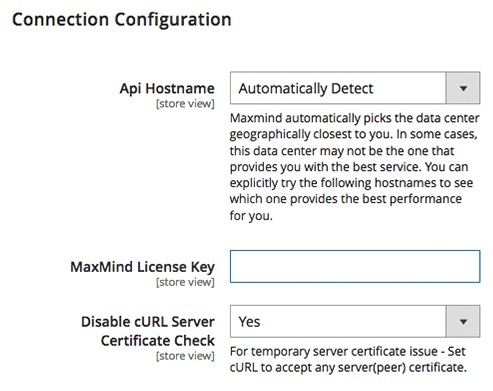 Go to Sores -> Settings -> Configuration -> WeltPixel -> Maxmind configuration -> General Configuration. 6 options are available here. First of all, you should turn on the Magento 2 fraud protection extension: set “Enable” to “Yes”. 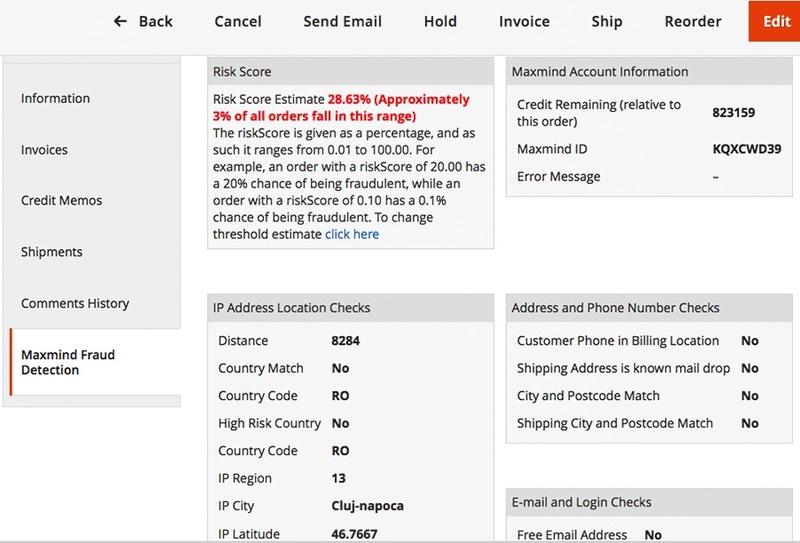 Next, the Weltpixel MaxMind Fraud Prevention Magento 2 module allows you to set a risk score threshold. Remember that the highest risk level is 100, so don’t use too low threshold. Otherwise, there will be too many orders highlighted with red. It is also possible to hold all orders that have a risk level that is higher than the specified threshold: set “Hold Order” to “Yes”. As for “Force IP” – it is a feature used for debugging. Don’t use it on your live store: leave the field empty. The next option allows you to create a whitelist of IPs. In “IP Exceptions”, type addresses separated by coma to avoid detection for. “Minimum Order Amount” is another threshold you can apply to orders. 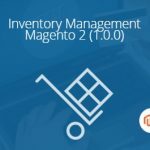 In most cases fraud occurs only in case of expensive orders, so you can easily eliminate all cheap orders from Magento 2 fraud detection. Leave “Minimum Order Amount” empty to check all orders. The “Api Hostname” parameter allows to select the necessary data center. Note that MaxMind automatically picks the closest one. Next, you should type your license key and can enable/disable cURL Server Certificate Check (use for temporary server certificate issue). Now when the Weltpixel MaxMind Fraud Prevention Magento 2 module is configured, go to Sales -> Orders. 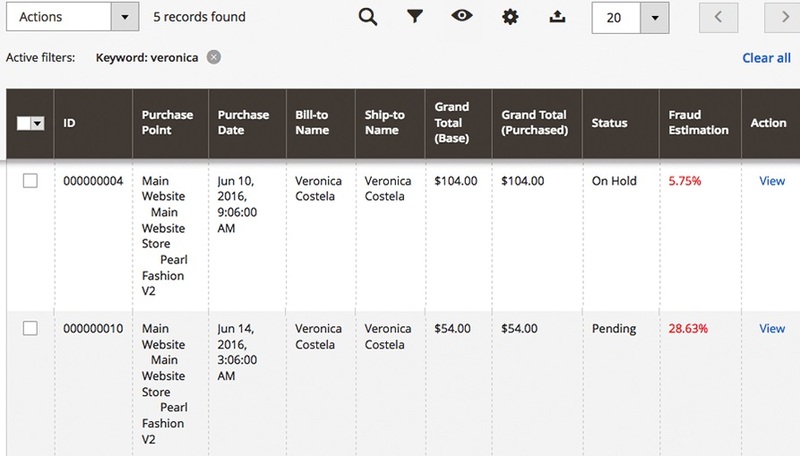 You can see a grid with orders enhanced with a new column – Fraud Estimation. It illustrates the risk score for each order. Proxy Detection – proxy data. Analyzing this information, you can easily find out whether it is a normal order or a fraud. We strongly recommend you to activate the “On Hold” parameter in settings to be able to check all suspicious orders.